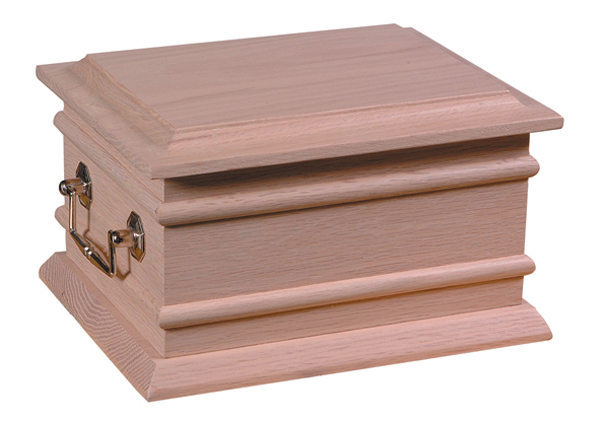 High quality solid wooden plain ash casket with a superior polished finish. 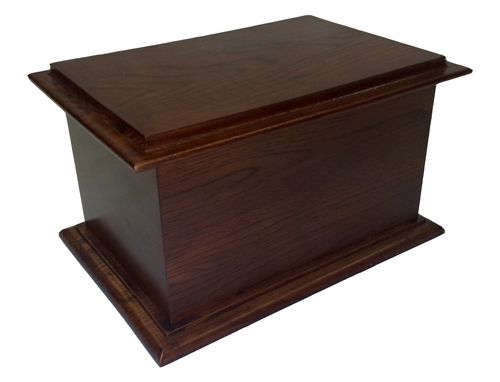 Available in solid Oak and Mahogany. 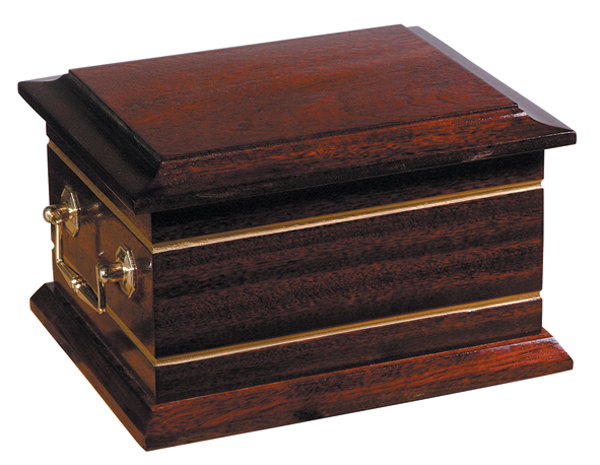 Dimensions: 165mm H x 285mm W x 205mm D. Also available with EB or NP urn rings fitted. 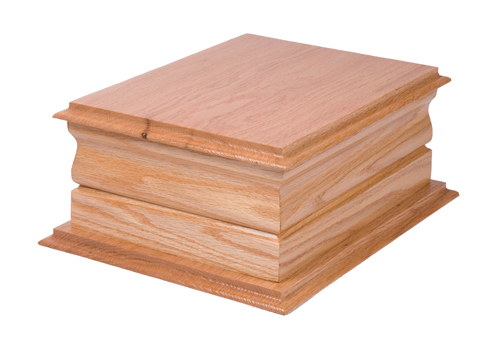 Sold individually and also available in boxes of 6 and cartons of 24 units (at a special discounted price). 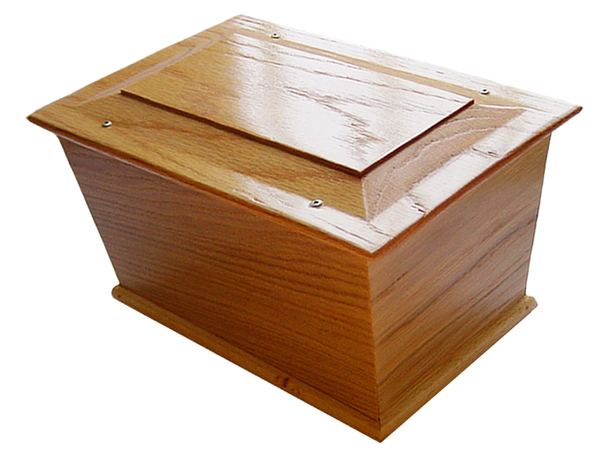 High quality solid wooden moulded ash casket with a superior polished finish. 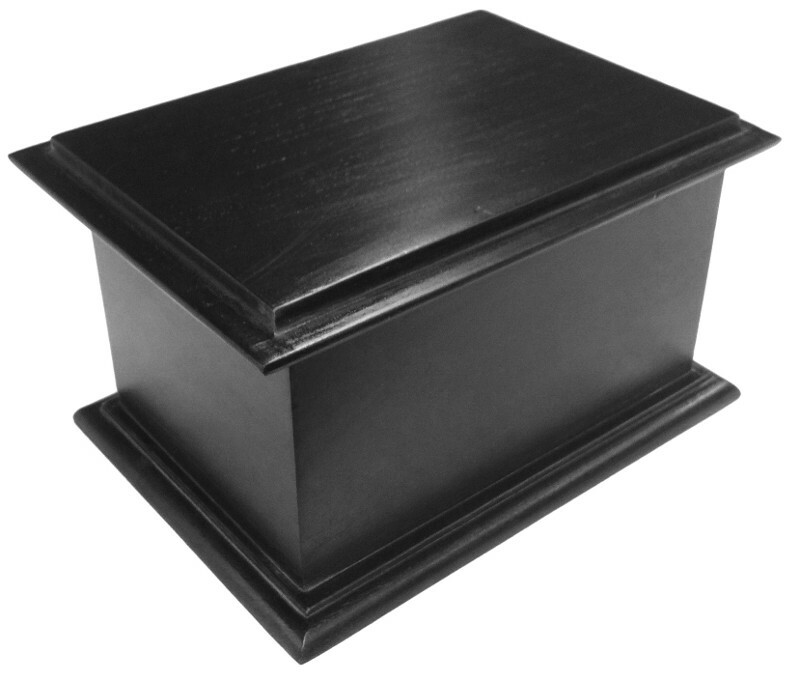 Dimensions: 135mm H x 295mm W x 205mm D.
New high quality lightweight Paulownia wooden moulded ash casket with a superior polished finish. Available in Oak and Mahogany colours. Sold as special purchase prices in boxes of 6 or more. 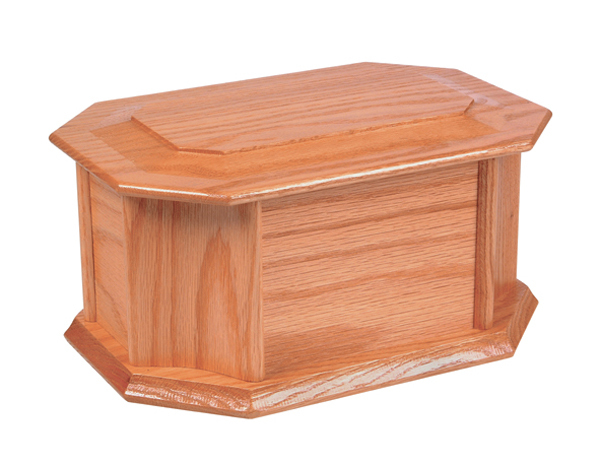 New high quality lightweight Paulownia wooden plain ash casket with a superior polished finish. 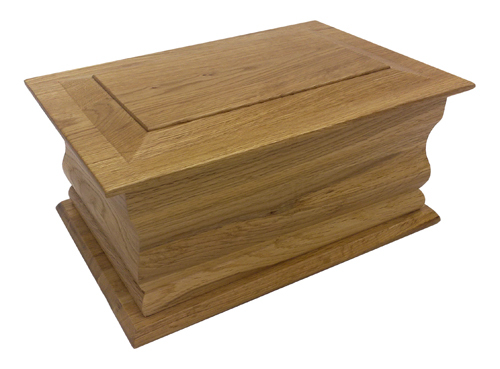 Shaped double ash casket available in Oak or Mahogany. 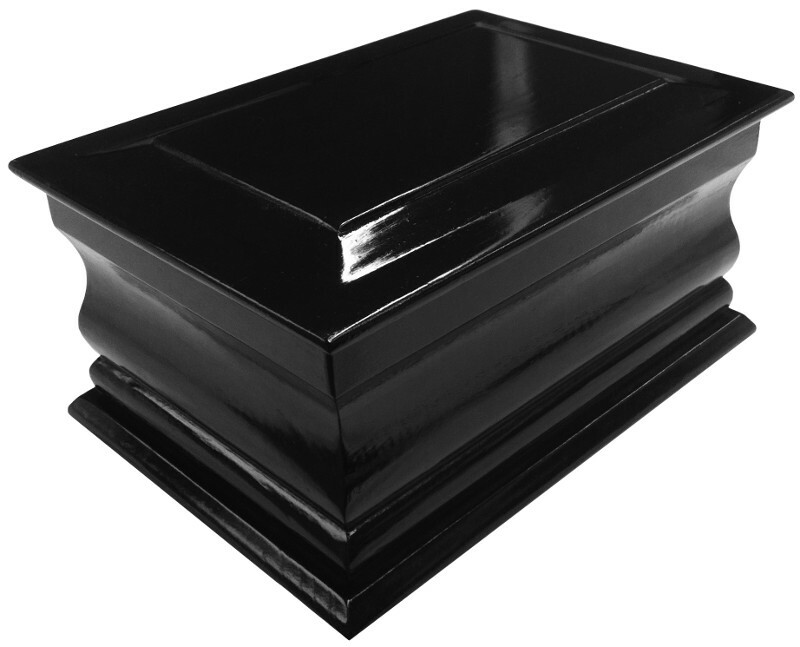 Dimensions: 160mm H x 375mm W x 300mm D. Sold individually. 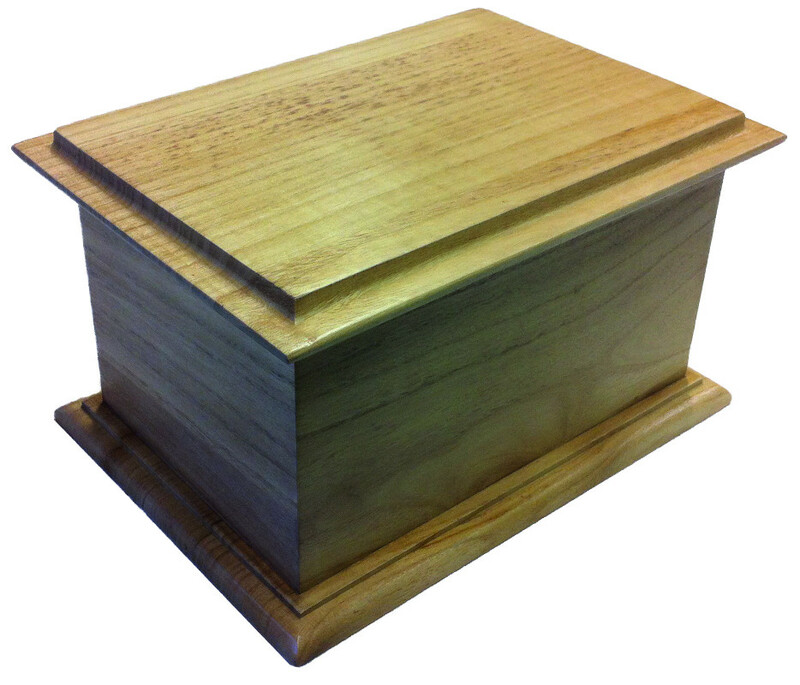 The Servern Urn is oak veneered with a solid oak lid. 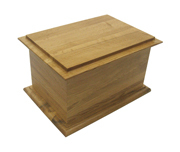 Dimensions: 150mm H x 280mm W x 190mm D.
Also available with EB or NP Urn Rings fitted. 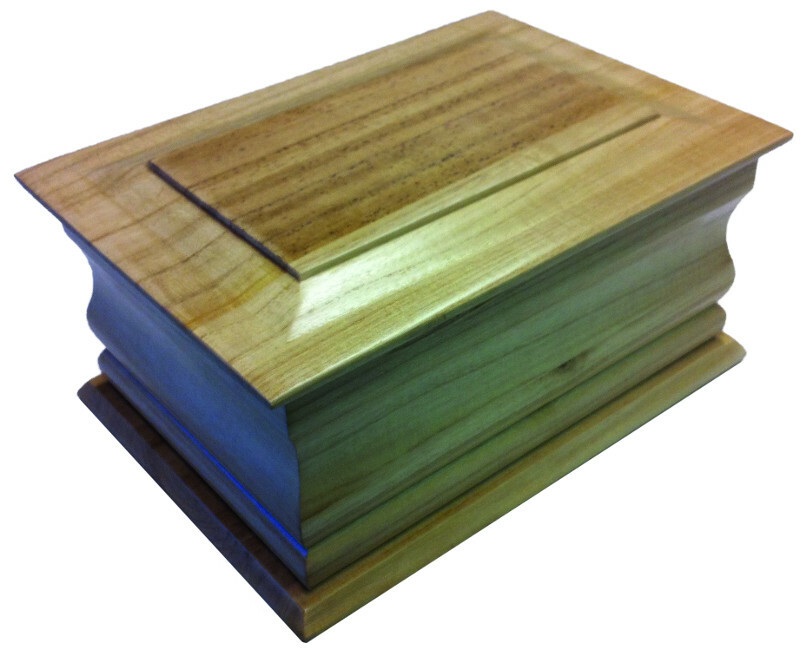 Shaped ash casket manufactured in Paulonia hardwood with a polished finished. 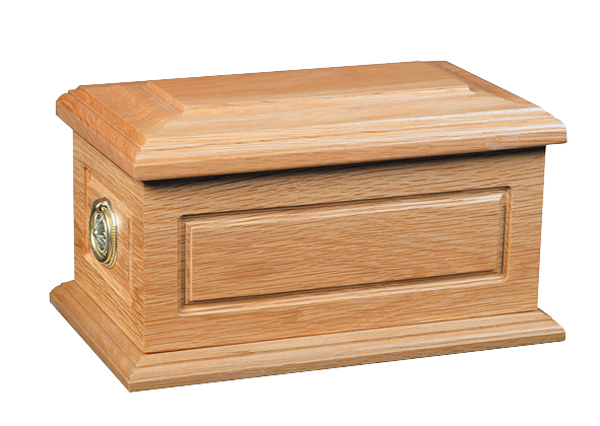 Dimensions: 160mm H x 300mm W x 220mm D.
Dimensions: 160mm H x 300mm W x 225mm D.
Illustrated with EB Handles attached. 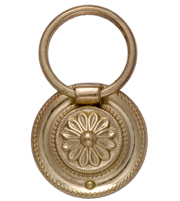 Also available plain or with EB Urn Rings attached. 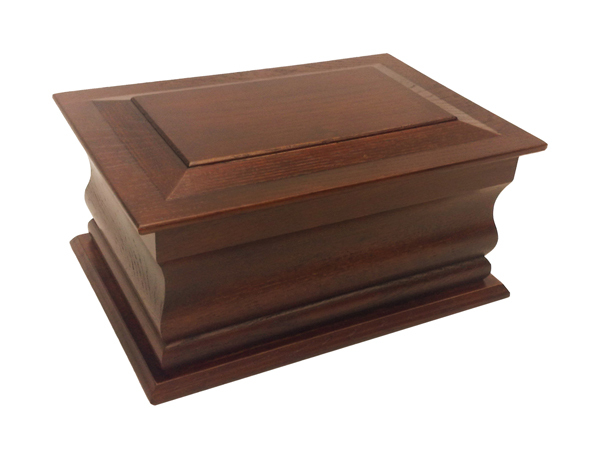 Dimensions: 160mm H x 300mm W x 230mm D.
Dimensions: 160mm H x 320mm W x 200mm D.
Picture for illustration purposes only - this item is available with or without Urn Rings (EB or NP) attached. 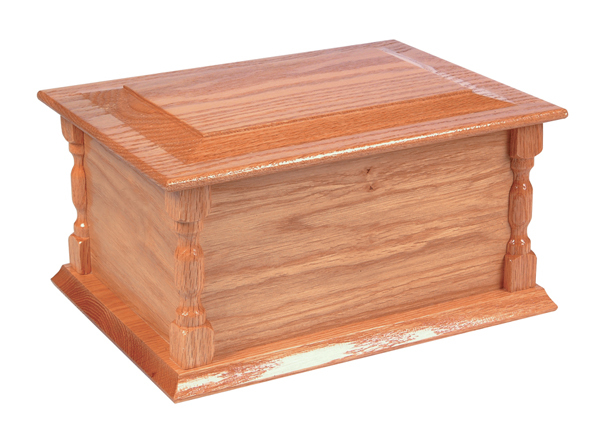 Dimensions: 130mm H x 230mm W x 150mm D.
Dimensions: 160mm H x 280mm W x 200mm D.